Finally after delayed orders, Lord Percy finally left Boston with the 1st Brigade as reinforcements for Colonel Smith. His force consisted of 1,000 men and two light field pieces. The Minutemen and the militia on Punkatasset Hill now made up a force of around 400 and they began to move down the hill, closer to North Bridge. There they could see smoke rising from the town and they feared the worst. The Concord Adjutant, Joseph Homer raised the question "Will you let them burn the town down?" The decision was made that they would march into the center of town and confront the British threat. 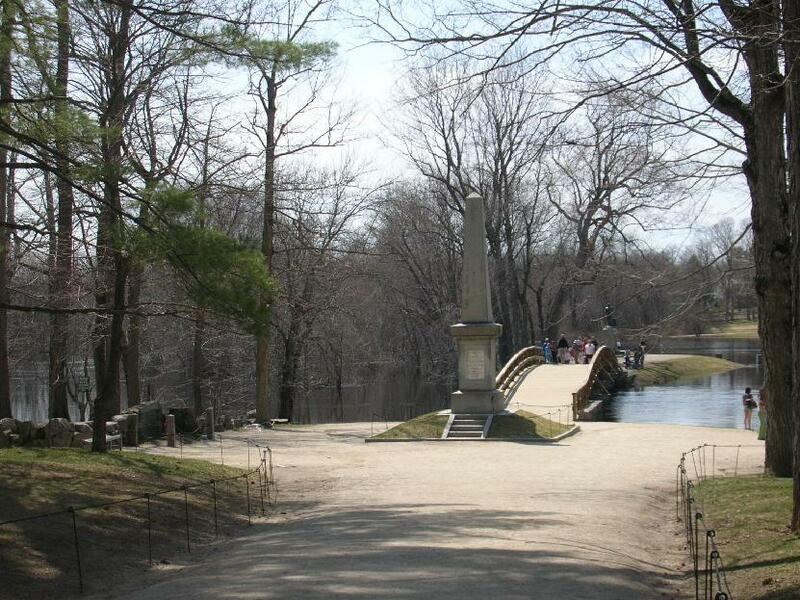 As soon as the Americans started to march from Punkatasset Hill, Captain Laurie saw them and formed up his men on the other side of North Bridge. He saw that he was outnumbered and sent a messenger to Colonel Smith asking for reinforcements. Unfortunately the grenadiers that Smith sent out did not reach them in time. As the Americans closed in on the bridge, Captain Laurie had to order the few men he had trying to tear up the planks on the bridge back into formation. As he had little time to set up his men, Captain Laurie formed his men into a street fighting formation, where the front rank of four fires then retires the back of the column and this is repeated. This way they can have a consistent fire across the bridge for maximum effect. When the Minutemen were within 75 yards the British let off their first volley, Isaac Davis, the Acton Captain, fell as well as one of his men, Abner Hosmer. That was when Major Buttrick of the Americans shouted "Fire fellow soldiers, for God's sake fire!" Then every Minuteman fired who "could fire and not kill their own men." British soldiers' morale was broken by the overwhelming numbers and fled back to Colonel Smith. Three privates were killed while four file and rank, a sergeant, and four of eight British officers were wounded. The Americans then recrossed the river to retrieve the bodies of Davis and Hosmer and carry them Major Buttrick's house. When Captain Munday Pole and his Light Infantry (who had seized South Bridge at 8 AM) heard the gunshots, rushed to the center of the town to rejoin the main body of British. Earlier they had taken food from surrounding houses, though they were careful to pay the women for what they took. They also found 3 24-pound iron cannons. They knocked off the trunnions (the part in which hold the cannon on its carriage) and burned some gun carriages. It was possibly this smoke that prompted the American attack. Captain Parsons was returning from Barrett's farm though he was still a mile away and supposedly had not heard any gun shots. As the main body of British began to reassemble, Captain Pole from the south, and Captain Laurie from the north. The men were exhausted since they had been on the move since the night before, the wounded were needed to be cared for and the provisions needed to be carried back to Boston. Chaises and horses were confiscated from nearby stables.